Owner-breeder Peter Carrick relived the glory days when Barcode won the Advanced Mailing Solutions Hcp (1200m) at Moonee Valley on Friday. Barcode (4g Kaphero – Crimson Code by Redoute’s Choice) is a homebred for Carrick and came to town for a hat-trick after recent victories at Echuca and Mornington. Trained by Robert Smerdon, he races in the same red and lime diagonal colours as his sire Kaphero. Kaphero was bred by Swettenham Stud’s Adam Sangster and Carrick bought him for $340,000 at the Gold Coast Magic Millions. A real stand-out on looks, he is by Danehill’s Golden Slipper winner Danzero and descends from one of Swettenham’s most successful families. His dam Kapchat was a Group 1 winner of the Winfield Classic at Rosehill and is closely related to recently deceased Champion NZ sire O’Reilly. Kaphero started out with Lee Freedman and won the LR Blue Diamond Preview (1000m) in a scintillating 55.82s. 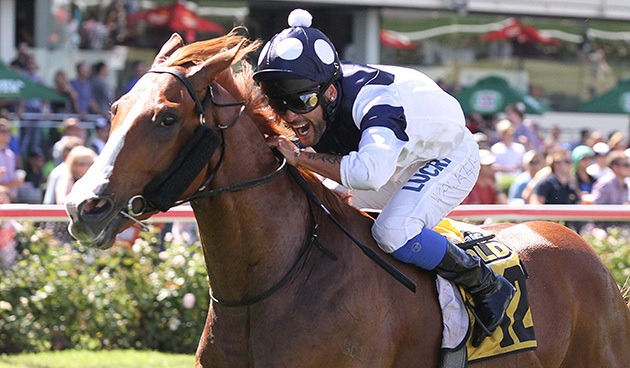 He then cleared out for four-length victory in the Adelaide Magic Millions 2YO Classic (1200m). Transferred to Leon Corstens, he won six in a row at Moonee Valley culminating in the G3 McEwen Stakes (1000m). He added a Group 1 placing in the Manikato Stakes (1200m) before returning home to stand at Swettenham Stud. 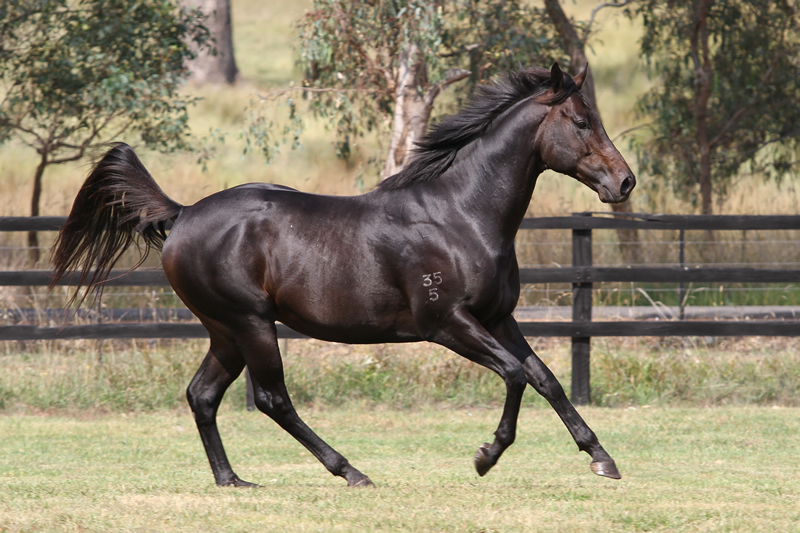 Larneuk Stud stallion O’Lonhro picked the right occasion to sire his first domestic winner on Australia Day. His first-starter Little Capri led from the outset in the Sureway Employment Maiden (1000m) at Wagga on Monday. The gelding scored by a long-neck for Jerilderie trainer Phil Sweeney and his apprentice daughter Brooke. Little Capri (3g O’Lonhro – Angel Of Capri by Archway) is a homebred for Larneuk owner Nev Murdoch and is the first and, so far, only foal from a daughter of Melbourne stakes performer Blue Capri (Proven Valour). O’Lonhro had sired his first winner when Black Magic was a brilliant debut winner in Singapore on November 23. At his only other start, the Theo Kieser trainee was runner-up to Blue Swede (NZ) on January 4. Murdoch sold Angel Of Capri a few years ago but tracked her down and bought her back recently. She will be bred back to O’Lonhro this year. Delighted in the way in which O’Lonhro has let down as a nine-year-old, Murdoch is confident that the record-breaking son of Lonhro has the best to come with his progeny shaping well at three. Many of the mares served by O’Lonhro last spring already have foals by him, including the dam of Black Magic and daughters of Danehill, Exceed And Excel, Danehill Dancer, Keltrice, Desert Prince, Happy Giggle, Magic Albert, Zeditave, El Moxie, Toy Pindarri and Canny Lad. Murdoch notes that many of those returning mares are members of the Danehill line – and that is no surprise with Lonhro excelling with that legendary stallion’s descendants; the cross already producing 15 stakes winners. John Hickmott has been in racing long enough to know the pitfalls of shouting the odds about a maiden winner. But he’s got an opinion of Rod’s Opinion and earlier this week entered the last-start Morphettville winner for the G1 Australian Guineas (1600m) at Flemington on March 7. Hickmott’s stable at Murray Bridge isn’t far from where he managed Lakewood Stud and its champion sire Bellotto for many years. He also put the polish on stakes winners like Frenzel Rhomb, Taos Pleasure and Pay Keys and the finishing touches on his trainer sons Robert and Michael. Rod’s Opinion is a son of Greta West Stud sire God’s Own and he was beaten a length first-up on January 3 before edging out Regal Spur (Flying Spur) by a nose in the Schweppes Maiden Hcp (1250m) last Saturday. Stablemates Stone Sober and Boldacious Girl are both working up to wins after being placed at Murray Bridge earlier this month. Hickmott’s strapper Carina Riggs races Boldacious Girl who won at Balaklava last time in. Rod’s Opinion (3g God’s Own – The Rossa by Dehere) will start again over 1300m on February 7 or Hickmott may hold off and go straight into a 1600m event a week later at Morphettville. Flemington trainer Mat Ellerton has always been a Foreplay fan and he produced another promising winner by the Woodside Park Stud sire at Warrnambool on Thursday. Second Base (3g Foreplay – Choilaine by Choisir) started a $1.50 favourite first-up in the Matthew Williams Racing Maiden Plate (1100m) and coasted home to score by two lengths from Big Reel (O’Lonhro) and Incubate (Host). Punters were confident he would be hard to run down following two placings at Seymour and a fourth at Moonee Valley earlier this season but Katelyn Mallyon was forced to ride him upside down after a moderate getaway. Ellerton trained Foreplay for Scott and Matthew Perrin after making $625,000 at the 2003 Easter Yearling Sale. A beautifully bred son of Danehill, he won the LR Doveton Stakes at Caulfield and finished third to Alinghi and Fastnet Rock in the G1 Newmarket Hcp. 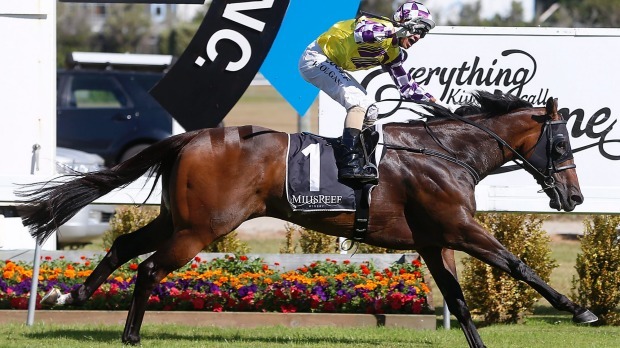 Retired amid much fanfare to the Hunter Valley, his fertility rate bottomed out after three seasons at Yarraman Park but not before he sired the Ellerton-Zahra Group 3 winner That’s Not It. He won the Red Anchor Stakes at Moonee Valley on the same day So You Think claimed his second Cox Plate. That victory coincided with Foreplay’s transfer to Woodside Park where stem-cell treatment improved his fertility-rate to more than 80%. He covers limited books at a $6,600 (inc gst) service fee. Unbeaten filly Fontiton has maintained her position as favourite for the G1 Blue Diamond Stakes (1200m) with a determined victory at Sandown on Monday. A runaway winner at Moonee Valley on Cox Plate Day at her only previous start, Fontiton overcame difficulties to win the G3 Blue Diamond Fillies Preview (1000) by a neck from Haybay in a performance that impressed her connections. The winner was purchased for $110,000 from the draft of Blue Gum Farm at the 2014 Inglis Melbourne Premier yearling sale. Her dam Personal Ensign was a Listed winner of the 2006 Northwood Plume Stakes at Caulfield and she’s bred on the same Turffontein / Rubiton cross as stakes winning three-year-old filly Fontein Ruby. 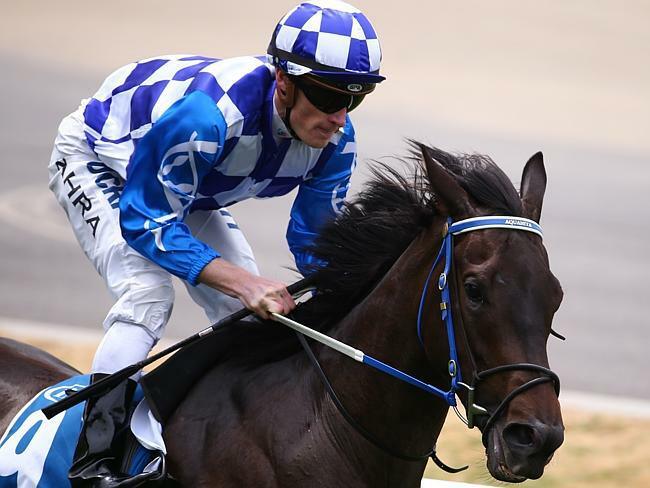 Fontiton is a $4.40 favourite for the G1 Blue Diamond Stakes at Caulfield on February 28. Her sire Turffontein has 10 yearlings catalogued for the 2015 Melbourne Premier starting on March 1 and her dam has followed up with two fillies by Canford Cliffs. Victorian-bred filly Alboran Sea has won her second Group 1 race in South Africa, claiming the Cape Flying Championship (1000m) at Kenilworth on Saturday. Alboran Sea (3f Rock Of Gibraltar – Lady’s Light by Toolighttoquit) fought back strongly to score narrowly after being headed 250m out. 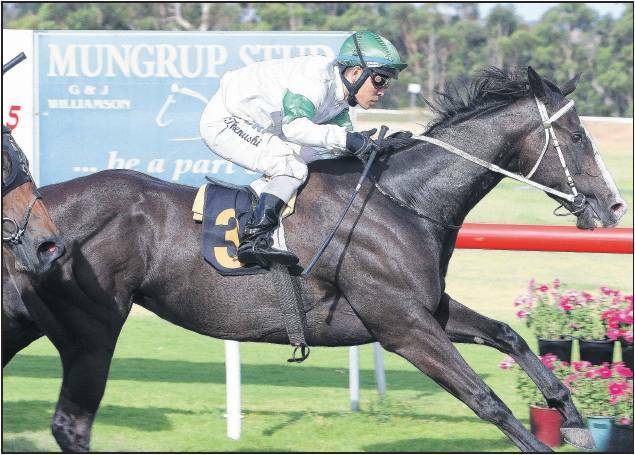 She had previously won the Group 1 Allan Robertson Fillies Championship at Scottsville. Alboran Sea went through the ring as part of Rosemont’s consignment at the at the 2013 Inglis Melbourne Premier Sale. Form Bloodstock bought her for $105,000 on behalf of trainer Mike de Kock, Wilgerbosdrift Stud owner Mary Slack and Michael Javett. There are only a few major sprints left for the season, including the G1 Computaform Sprint and G1 SA Fillies Sprint so connections may have their sights set on an overseas campaign. 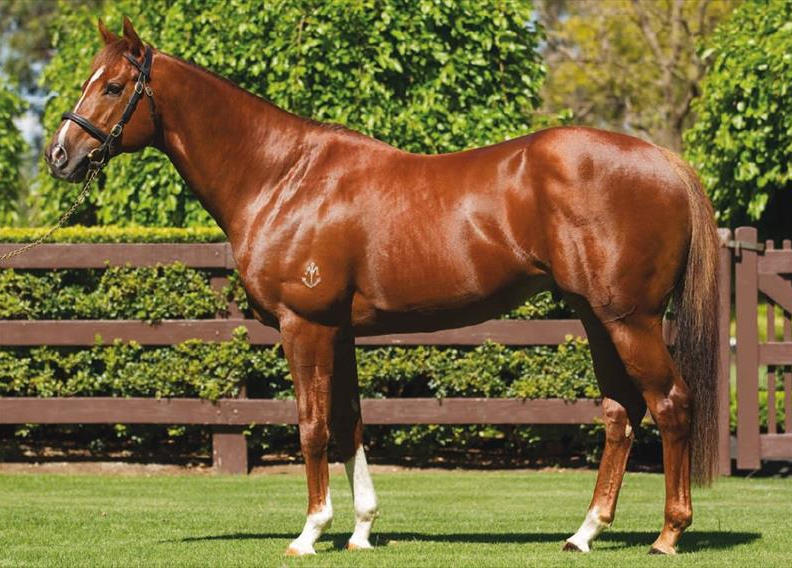 Perth iron-horse Dawn Approach has continued his superb start to the year with a front-running victory in the LR Miss Andretti Stakes (1200m) at Ascot. Set a daunting task by trainer Vaughn Sigley, he completed a winning hat-trick in a fortnight starting at Ascot on January 10. He followed up in the $100,000 Mungrup Stud Sprint at Mt Barker on January 18 before claiming his first black-type victory on Saturday. Dawn Approach is the 17th stakes winner by Statue Of Liberty (Storm Cat) who stands at Eliza Park International. “He always does his best – that’s all you want to see,” Sigley said. 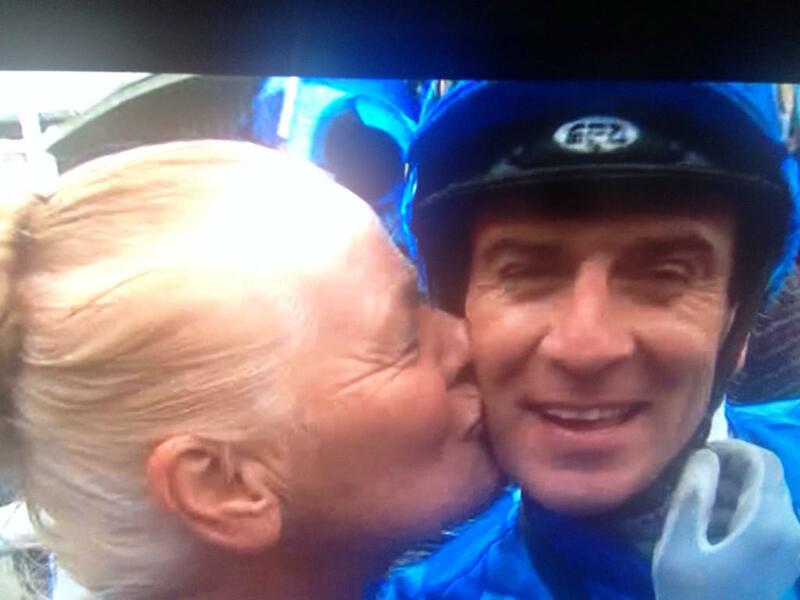 “He’s only finished out of the money once and that was when he was shin-sore as a two-year-old. Sigley prepares him for owner Alan MacAlister who also races Group 1 Winterbottom Stakes winner Magnifisio. She is a daughter of Eliza Park International stallion Magnus. MacAlister has rejected several offers from NSW and Victorian studs for Magnifisio who is back in work for Group 1 assignments in the Robert Sangster Stakes and Goodwood Hcp at Morphettville. Statue Of Liberty gelding Liberty’s Gem is another Perth sprinter attracting interest after victories in the LR Placid Ark Stakes and G3 Sir Ernest Lee-Steere Classic. His owners have already knocked back offers from Hong Kong in preference for an autumn campaign in the Eastern States. Champion sprinter Hay List emerged from Perth to put Statue Of Liberty on the map as a hugely popular speed-source winning 15 races in 28 starts and $2.56 million in prizemoney. Hay List was a Group 1 winner of the Newmarket Hcp, All-Aged Stakes and Manikato Stakes and filled out many more Group 1 quinellas for EPI sires when runner-up to Bel Esprit icon Black Caviar. Eliza Park International has 8 yearlings catalogued for the Perth Magic Millions next month including fillies by Statue Of Liberty and Magnus and a colt by Bel Esprit. Warrior Of Fire became the 19th stakes winner for his sire Bianconi in the LR Hobart Guineas (2100m) at Elwick on Sunday. It was the culmination of a long-range plan by trainer Jerome Hunter and owner-breeder Graeme Gathercole who are both based at Mornington. Warrior Of Fire (3g Bianconi – Fire Vain by Tuscanos) had won a Bairnsdale maiden on December 16 and firmed from $21 to start at $11.80 in the Guineas. He benefited from a perfect ride by Daniel Stackhouse to defeat local hopes Shiralee (Stratum) and Geegees Goldengirl (Worsmith). Bianconi (USA) is based at Ridgeview Park and his latest stakes winner is the first foal out of Fire Vain who nailed the last of her 9 wins for Gathercole at Kilmore in January 2010. The mare has a Zoffany colt on the ground and was bred back to Equiano in October. There are five Bianconi yearlings entered for the Adelaide Magic Millions in March including Ridgeview Park’s colt from Encosta de Lago mare Cafe del Mar (Lot 298). He’s a younger brother to OTI Racing three year-old Scherzoso who won at Morphettville on Boxing Day. 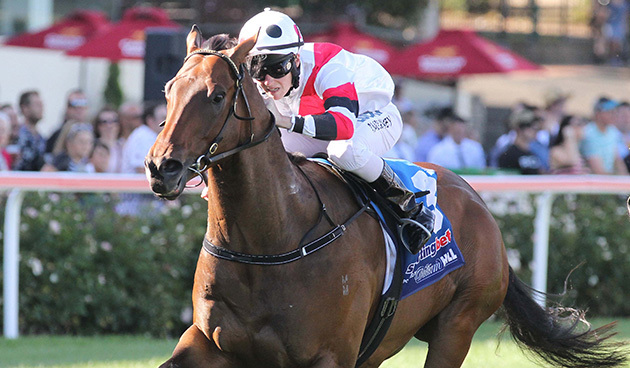 Swettenham Stud owner Adam Sangster had all the bases loaded when Hong Kong Captain claimed the $150,000 VOBIS Gold Star (1500m) at Moonee Valley on Saturday. Sangster bred and sold Trust In A Gust to win the 2014 VOBIS Gold Star on the way to Group 1 victories in last year’s Sir Rupert Clarke Stakes and Toorak Hcp. Hong Kong Captain is another Swettenham graduate with a future in Group 1 company. He completed a double for Swettenham sire Host (Chi) at Moonee Valley following a smart win by his youngster sister Marli Magic. What’s more, Sangster has catalogued their yearling half-sister by Equiano as Lot 770 at the Melbourne Premier next month. Hong Kong Captain (3g Host – Unlimited Passage by Giant’s Causeway) is trained by David Hayes and Tom Dabernig at Lindsay Park Euroa. “VOBIS Gold is a fantastic incentive and we’ve got a lot of time for this horse,” Dabernig said. “We’ve always thought that he’s a bit better than city class and will get out to 2000 metres. The stable is also planning Group 1 starts in the Australian Guineas (1600m) at Flemington and Rosehill Guineas (2000m) in March. Darley Victoria shuttler Street Boss (USA) signed off Moonee Valley’s Saturday meeting with a running double via Scarlet Billows and O’Malley. Both gallopers are from his first crop which is spearheaded by Melbourne stakes winners Thiamandi and The Quarterback. O’Malley (4g Street Boss – Pink Champagne by Carnegie) is also on the brink of black-type after coming from last for a first-up victory in the William Hill Handicap (1000m). “He’s the best horse I’ve trained,” Enver Jusufovic said. “A few riders have told me he’s a Group horse but I want him to go through the grades first. Sold by Eliza Park International for $25,000 at the 2012 Inglis Melbourne Autumn Sale, he has now won 4 times in 7 starts and earned $175,325 for owners Rob Patterson and Pat Littlejohn. His dam is a daughter of NZ stakes winner Centennial (Centaine). Street Boss (Street Cry) has three yearlings catalogued for the Melbourne Premier starting with a filly from G3 Swettenham Stud Stakes winner Apple Danish. 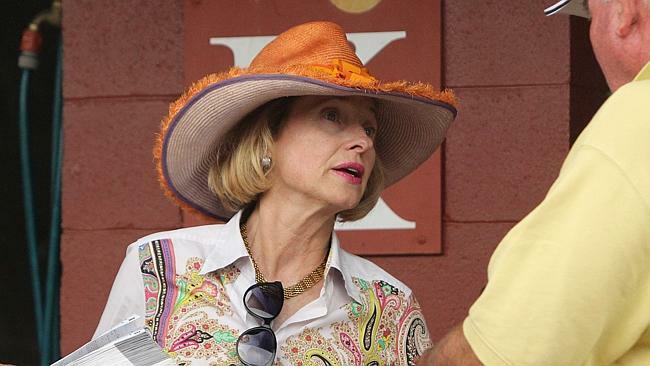 She has been entered by Phoenix Broodmare Farm (as agent) and is a half-sister to 6 winners. Eliza Park International has a new addition to the roster with Adam Henry joining the sales and nominations team. A keen student of the industry, Adam was formerly with Patinack Farm in NSW for six years where he covered a fairly diverse portfolio. Largely responsible for sales and nominations, Adam also worked on the farm’s website and brochure, organised special events and played a prominent role at the races and various sales. 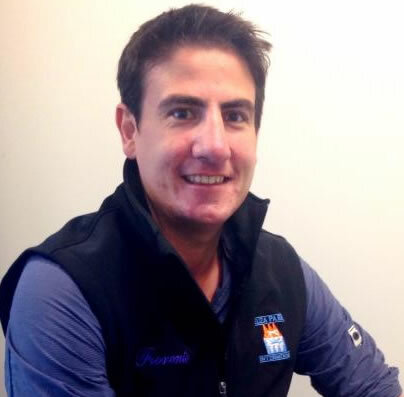 Adam is currently based at EPI’s Melbourne office and is looking forward to the (rapidly) approaching breeding season: “Eliza Park International has a fantastic line-up of stallions, particularly with last year’s newcomers Fiorente and Fighting Sun and, of course, the perennial champ, Bel Esprit. “It’s the premier stallion roster in Victoria and one of the best in Australia, but EPI also offers a complete range of services with its sales and racing divisions too. Cranbourne trainer Udyta Clarke was overwhelmed when Heza Dude won the Land Engineering Plate (1200m) at Mornington last month. Heza Dude (3g Kaphero – Skyla by Perugino) was orphaned twice before finally growing into a powerhouse. “How he survived I will never know,” Clarke said. “He put a hoof through his dam’s bladder while being foaled. She couldn’t lie down so the foal-alarm didn’t go off. “When I discovered them in the morning, he was stone cold. I gave mouth-to-mouth and was about to give up after 20 minutes of CPR when, all of a sudden, his heart began beating so strongly it pushed me off balance. “That’s how he got the nickname ‘Casper’. After emerging from the woods, Heza Dude was fostered to a warm-blood mare. “She produced so much milk, he started picking up but then she died from a snake bite. “I tried to put him on a standardbred mare but he was already too much of a handful,” Clarke recalled. “By then, he recognised me – put his head in my lap and follow me everywhere. “He began to bulk up and was very cheeky. The breakers weren’t keen because orphans have no fear. They said he would be very good or no good – nothing in between. Clarke races Heza Dude with breeder Don Allan and they received phone calls from Hong Kong and Singapore after the win at Mornington. “They drop off when I tell them about all the setbacks but that suits us. Heza Dude had a fortnight’s break at Xmas in readiness for his second campaign. “We can’t let him out in a paddock for more than an hour a day,” Clarke said. “He goes flat out, rears up, pig-roots and loses too much weight. Sacred Star has given Diggers Rest breeder Mark Ruff his first Group 1 winner in the Telegraph Hcp (1200m) at Trentham. Sacred Star (5g Flying Spur – Irish Nova by O’Reilly) won the feature sprint by four lengths in a blistering 67.01s for Raffles Racing and trainer Tony Pike. They bought him for $200,000 when catalogued by Ruff as part of the Attunga Stud draft at the 2011 Inglis Easter Yearling Sale. The Victorian bred gelding had won the G2 QTC Cup at Eagle Farm during a trip to the winter carnival last year. Mark operates Bulla Thoroughbreds on 900 acres at Diggers Rest. His start in racing began in the 1980s when he worked for Colin Little at Caulfield while completing a degree in Building Engineering. Irish Nova’s first foal was an unraced Zabeel filly named Zanova. She was retained by Mark and is currently in foal to Equiano. Mark sold Irish Nova, in foal to Stratum, for $120,000 to Rosemont Stud at last year’s Magic Millions National Sale but has kept her yearling colt by Foxwedge. 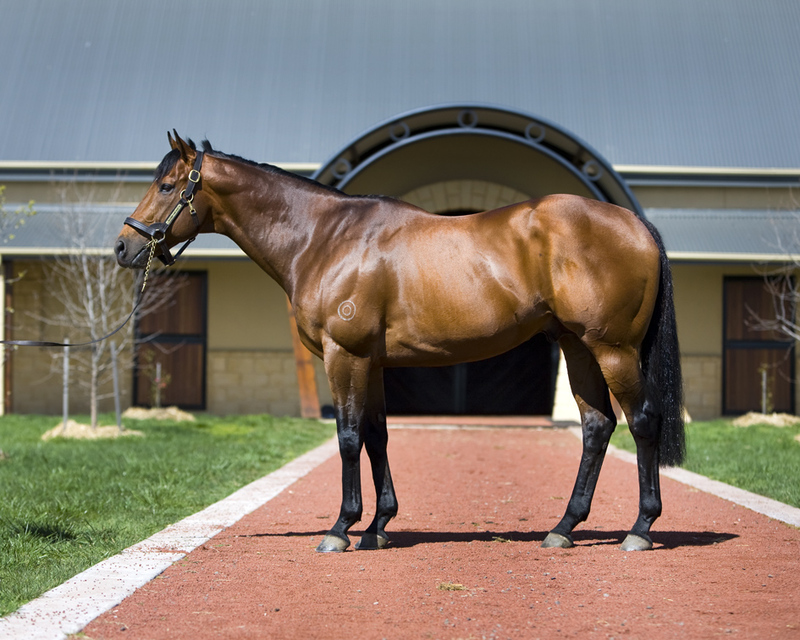 “I’ve been trying to breed at Group 1 winner for a long time. We have a bit of fun camp-drafting and racing. I’ve got four or five mares at Digger’s Rest and around 10 horses with Mick Cerchi at Flemington. The Irish National Stud has confirmed Americain will commence covering his first European book at its Co. Kildare headquarters next month. 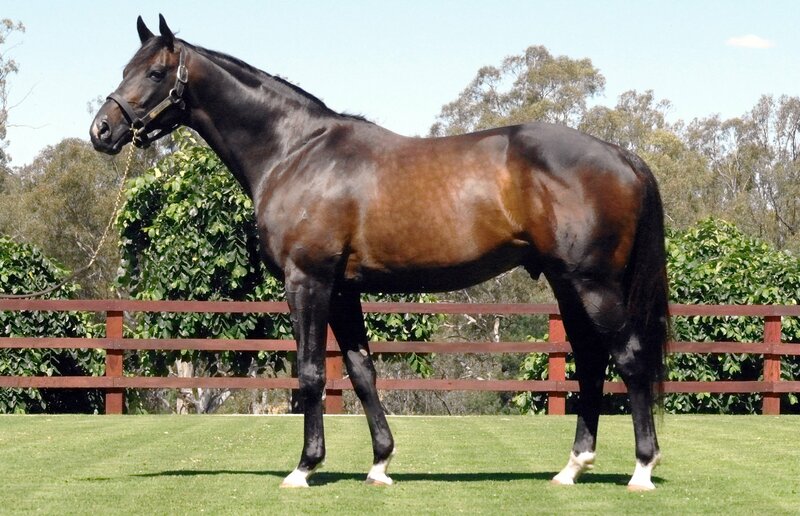 Americain (USA) shuttled from Swettenham Stud to Calumet Farm in Kentucky for his first two northern books and the relocation won’t affect his residency in Victoria. 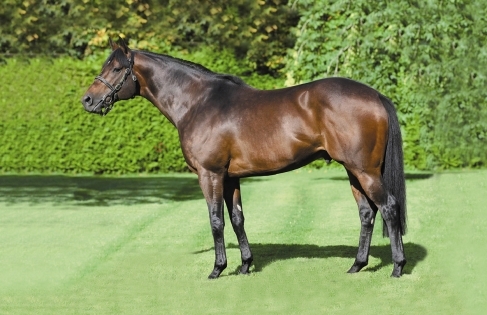 The Irish National Stud is home to champion sire Invincible Spirit. “He will bring balance to our roster which is dominated by speed influences,” chief executive John Osborne said. “Americain’s pedigree has class in every generation. His sire Dynaformer was revered in North America and was a classic sire in Europe. 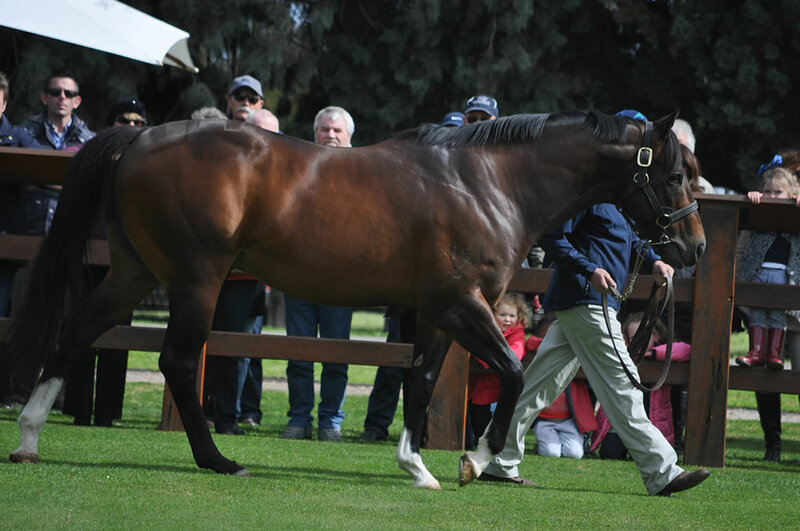 In Australia, there are 107 foals on the ground from his first book at Swettenham. Bred by the Wertheimer brothers, Americain was trained by Alain de Royer-Dupre to win the Prix Vicomtesse Vigier and Prix Kergorlay in France before being sent to Australia where he defeated Maluckyday and So You Think in the 150th running of the Melbourne Cup. Eliza Park International’s champion sire Bel Esprit lobbed with a very impressive deuce at Sale on Thursday via Trimensa and then, a race later, Sistonic…both of them first starters. The David Hayes – Tom Dabernig trained Sistonic garnered plenty of attention due to her close relationship to Black Caviar but it wouldn’t have mattered if she was three parts to Dobbin – it was some win. Bred and raced by Robert Crabtree (who also bred and raced another very close family member in Magnus), Sistonic is out of the Danehill mare Danavia, a half sister to Black Caviar’s dam Helsinge. Both mares are out of the blue hen Scandinavia whom Crabtree also raced. Trainer Robbie Griffiths has also had a long, long association – of sorts – with his four year-old mare Trimensa. Now, while there wasn’t quite as much daylight between her and the second horse as in Sistonic’s race, it was an extremely encouraging performance on debut nonetheless. Trimensa is out of Robbie’s mare Vaingt Trois who only won the one race for him but went on to produce 11 foals (one is still unraced), 10 to race and 9 winners! Trimsensa’s full brother Beltrois was a stakes winner in Melbourne, runner-up in the Standish and fourth in the Group 1 Goodwood, while other winners out of the mare include Ruby Trois, Vaingtlago and Flourishing. Sadly, Vaingt Trois passed away in 2011 but her daughter Ruby Trois has also gone on to produce two winners by Bel Esprit in Anne of Brittany and Ritzy Belle, both of whom won for Robbie in the past 12 months or so. Starspangledbanner did not return to Ireland when the overseas shuttlers flew out of Australia last week. He’s recovering from a bout of colic and remained at Rosemont Stud in Gnarwarre. A decision about his return for the 2016 northern breeding season will be reviewed later this year. Starspangledbanner was based at Coolmore in Ireland for the 2011 and 2012 breeding seasons, however, after encountering fertility problems, he returned to the track and was subsequently repatriated to stand in Victoria. But after a brilliant start with his first two-year-old runners in Europe last year, Coolmore decided to recall him to Ireland. Starspangledbanner’s first northern crop yielded 11 winners from 20 runners including the Royal Ascot stakes winners Anthem Alexander and The Wow Signal. The latter went on to score at the highest level in the Prix Morny at Deauville. In Australia, the son of Choisir launched his stud career with LR Debutant Stakes winner Of The Brave. The Mark Riley trained colt is on the fifth line of pre-post markets at $15 for the G1 Blue Diamond Stakes at Caulfield on February 28. During his first season at Rosemont in 2013, Starspangledbanner covered a restricted book of 51 mares with 33 of them subsequently foaling. Rosemont owner Anthony Mithen upped his book to 89 mares in 2014. Trainer Barry Campbell has another talented youngster ready to follow the same path as his former leading juveniles Admiral and Grand Tycoon. 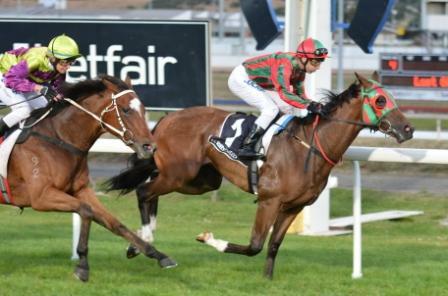 After Siorca won the Alfa Crystal Bowl (1100m) in Launceston on Wednesday night, Tasmania’s ‘King of the Kids’ confirmed the gelding will head to Hobart for the LR Elwick Stakes on February 9 and the LR Gold Sovereign Stakes on February 25. Eliza Park International resident Sharkbite sired the winner from NZ-bred mare Chrome Magic. His dam is half-sister to Moonee Valley winner Sweet Thunder who was also stakes placed in the LR Strutt Stakes. Chrome Magic was sold at the Aceland Park dispersal in November 2013 carrying Siorca. She was purchased by NSW based Phil Gunter who also bred EPI champion Bel Esprit. In one of the hottest years for first season sires in recent memory, son of Show a Heart and multiple Group 1 winner Toorak Toff more than held his own at the Magic Millions last week. The Gold Coast was awash with progeny by first season stallions with the likes of Smart Missile, So You Think, Foxwedge, Helmet and show-stopper Sepoy launching their careers in the yearling market. Rosemont Stud’s Toorak Toff had 7 yearlings sell for an average of $90,000 with a top price of $190,000 for the colt out of Flying Spur mare Shoptalk. Set to train sons or daughters of the fastest Golden Rose winner ever are Chris Waller, Joe Pride, Danny O’Brien, Bryan Guy, Clinton McDonald, Leon and Troy Corstens and Luke Oliver. On a ratio of service fee to average price among freshman sires, Toorak Toff was second to Smart Missile returning six times his service fee to vendors. Next best were Foxwedge and Sepoy. That figure is sure to rise with two “Toffs” at the NZB Premier sales, including a star colt from G1 winner Penny Gem as well as two to sell at Inglis Easter, among them a colt from G1 producer Lady’s Light. Former Chatswood Stud shuttler Amadeus Wolf sired his first southern hemisphere-bred winner in Hobart on Sunday. His filly Crib Point scored a narrow victory in the TRC Young Members Hcp (1600m) for Brighton based owner-trainer Terry Evans. She had been placed 3 times in 12 starts before the breakthrough. Crib Point (3f Amadeus Wolf – Westernport Bay by Western Symphony) cost $1,750 out of the Chatswood Stud draft at the 2013 Inglis VOBIS Gold Sale. She is the final foal of a mare who had already delivered winners by Dash For Cash, Bel Esprit, Lucky Owners and Jetball. Amadeus Wolf (Mozart) was a Group 1 winner of the 2005 Middle Park Stakes at Newmarket and shuttled from the Irish National Stud to Chatswood Stud for three seasons until 2012. He is currently based at Haras de Saint Vincent in France and among his leading European gallopers is Hamza who won last year’s G3 Abernant Stakes at Newmarket. The Kevin Ryan trained sprinter was last seen finishing down the track in the G1 Prix de l’Abbaye at Longchamp. 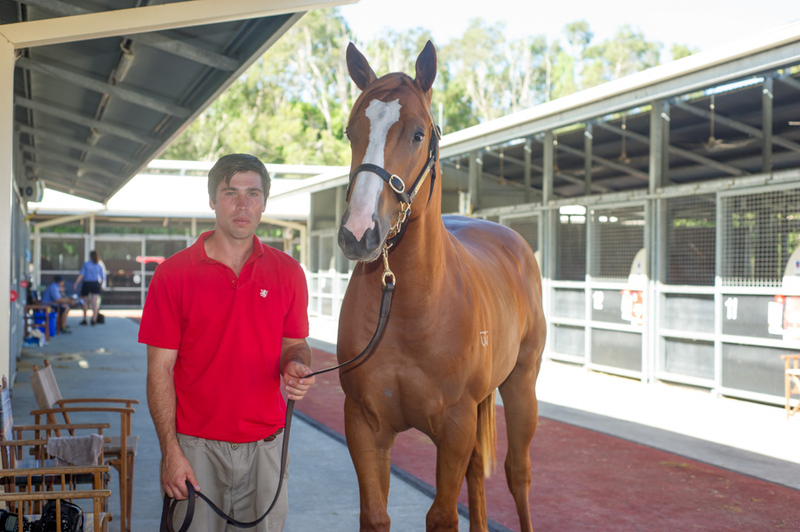 The Gold Coast has again proven to be a happy hunting ground for Eliza Park International. 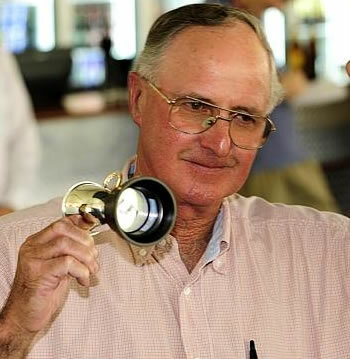 By the close of the Sunday session of Magic Millions 2015, EPI’s Victorian based stallions all fared well over the five days with Mick Price snapping up the two Bel Esprits on offer (for $90,000 and $75,000 respectively), the Statue of Libertys sold up to $100,000 (with Victorian trainers Jason Petch and John Moloney jumping on board) while Gai Waterhouse ($220,000) and Paul Moroney ($100,000) were also quick to snap up yearlings by Wanted. One thing is for sure – anything with a Super VOBIS sticker on it will attract plenty of attention…regardless of where the buyer hails from. Gai also fancied Eliza Park International’s Fastnet Rock colt out of the More Than Ready mare Pretty Flamingo, snapping him up for $400,000 on Day 3 of the Magic Millions. And what’s not to like – apart from being a cracking colt, he’s got a stallion’s pedigree with Pretty Flamingo being out of the multiple stakes winning Danehill mare Milanova (a full sister to Champion Holy Roman Emperor) who was purchased by Coolmore for $5 million a few years back. EPI principal, Sun International, was pretty active on the other side of the box too, buying up four yearlings for a tick over $1 million, including $400,000 for the Redoute’s Choice colt from Champion 2YO Hasna. Although their ultimate areas of employment are yet to be determined, some of the quartet will end up in Melbourne stables.